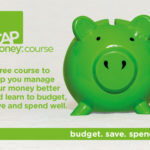 I missed putting a message up about the CAP Money course that has started on Fridays at 1:30pm. It’s a free course to help you get control of your finances & make your money work for you! For more details, please click below to contact Doug. Also coming up is the Alpha Course which starts Thursday 25 January 7pm. It’s a great way to meet other people and explore the Christian faith and answer some of life’s biggest questions. Again, please contact Doug for more details by clicking below.